They’ve sold out in Las Vegas and across Europe, broken ticket sale records in Australia and were the highest selling tour in New Zealand in 2011, beating AC/DC and U2. 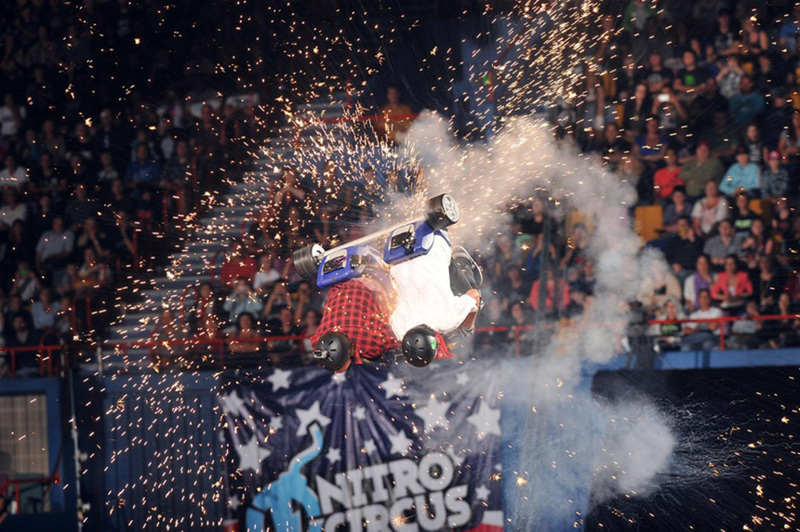 Today, Nitro Circus Live is bringing a brand new, death-defying spectacular, Nitro Circus Live, to South Africa for the first time, starting in February 2014! Nitro Circus Live showcases over 40 of the world’s best action sports athletes performing daring and often record-breaking tricks in freestyle motocross, BMX and skateboarding, along with heart-stopping stunts on unique contraptions rarely attempted outside of the Nitro Circus family. Featuring the stars of Nitro Circus’ hit TV show and Nitro Circus 3D film, the tour was founded by action sports legend, Travis Pastrana, a 10-time X Games gold medalist in Freestyle Motocross. Fans will witness some of the most difficult and dangerous stunts in freestyle motocross, BMX and skate with star athletes from across the world performing their biggest and best tricks off Nitro Circus Live’s multi-million dollar set and famous, 50-foot high Nitro Gigant-A-Ramp. 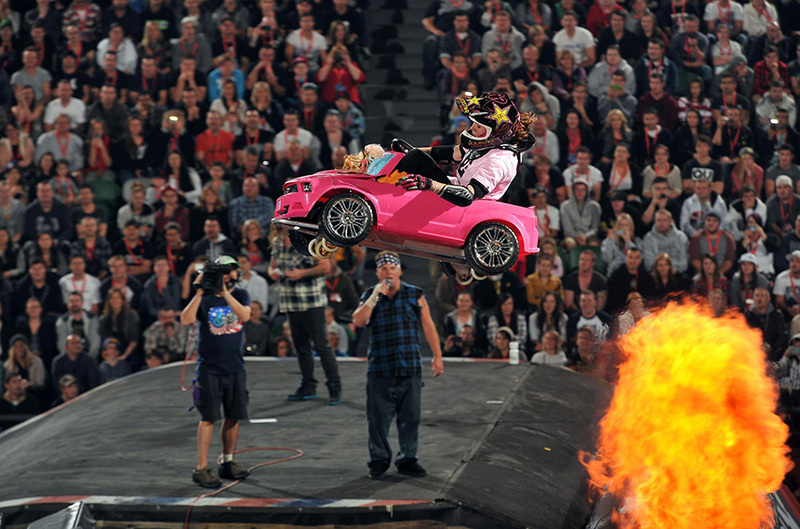 Not only will the Nitro Circus Live crew be performing the biggest tricks in FMX and BMX, they will also be pushing their limits and skill on skates, scooters and a range of crazy contraptions; including, a drinks cooler, Barbie car, toy trike, shopping trolley, boogie board and many more. One of the craziest stunts in the new show includes the extraordinary – hole-in-one – where riders launch 50 feet into the air off the Gigant-A-Ramp and attempt to land with pinpoint accuracy inside an inflatable Zorb ball. For more information, tour updates and behind-the-scenes content, visit www.nitrocircuslive.com. 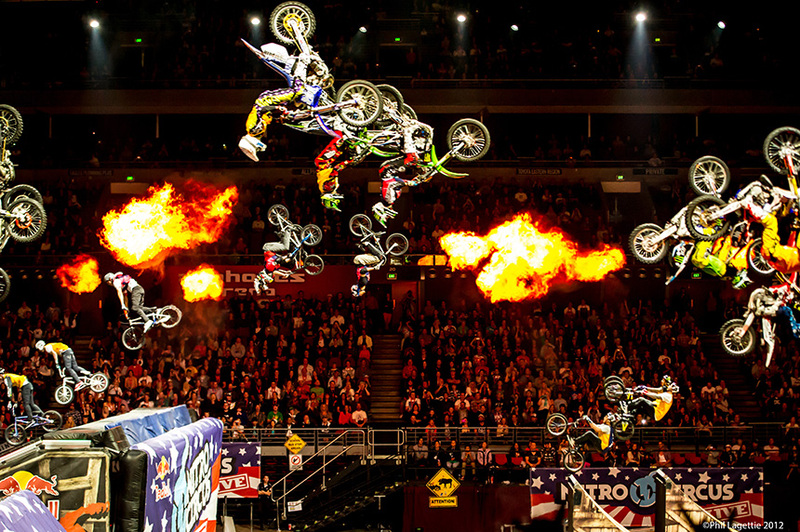 Follow Nitro Circus Live on Twitter and Facebook. 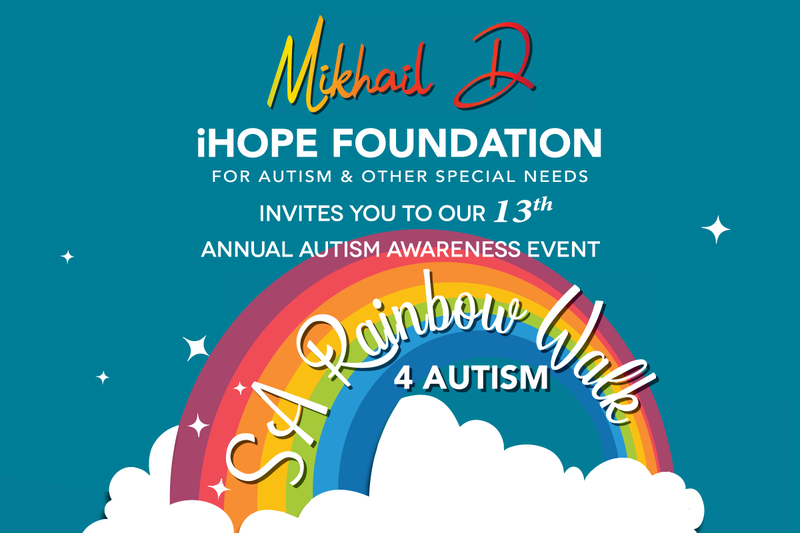 Tickets go on sale from the 25th October from Big Concerts and Computicket. A behind the scenes look at Nitro Circus Live. Nitro VIP purchasers get the chance to watch the last 30 minutes of official rider practice/show rehearsal, from their seats.